Tags: modern, aluminum, Dark grey, chair, wool, Arne Jacobsen, mid century, lounge, molded. 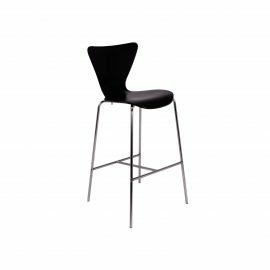 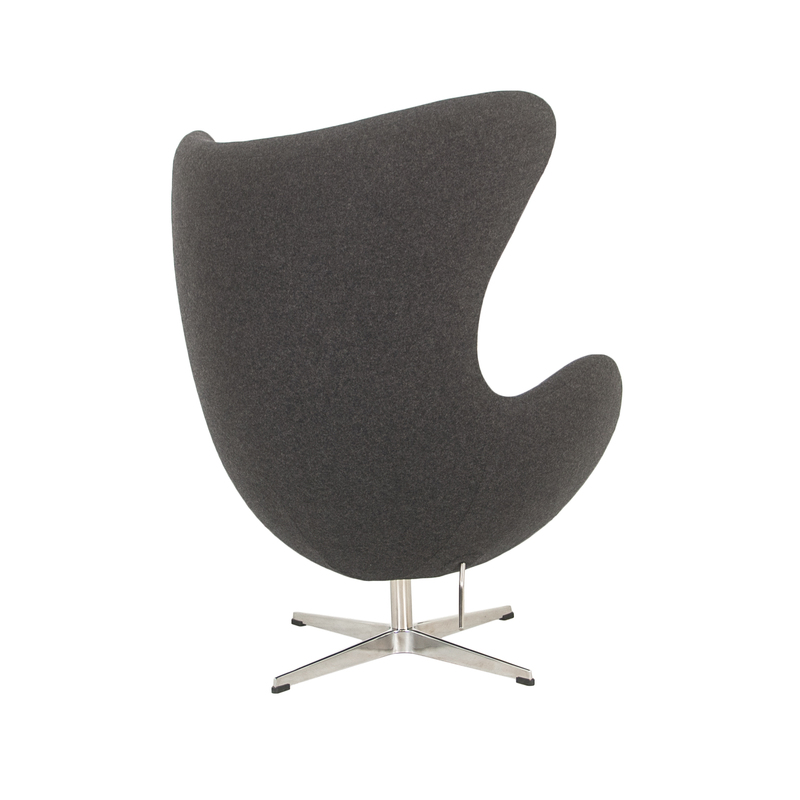 The famous biomorphic Arne Jacobsen Egg Chair (Dark Grey) was created in 1958 as interior furniture for the SAS Royal Hotel in Copenhagen by Arne Jacobsen (1902-1971). 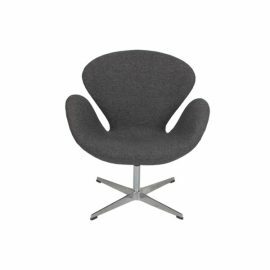 Iconic then and iconic now, the Arne Jacobsen Egg Chair (Dark Grey) is crafted from a molded fiberglass frame supported on an polished aluminum tilting and swiveling base. 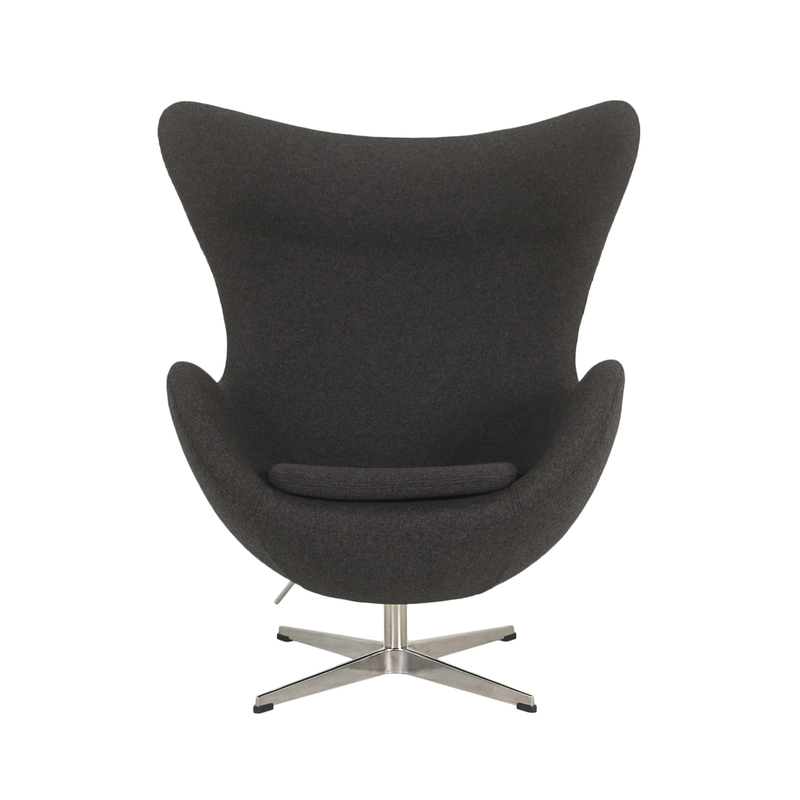 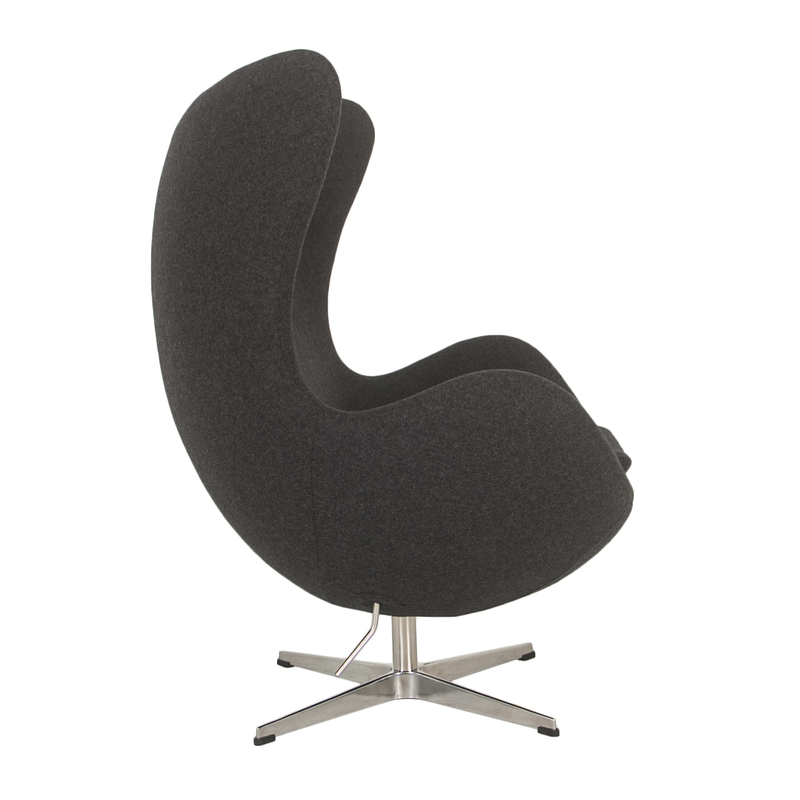 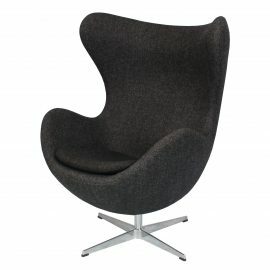 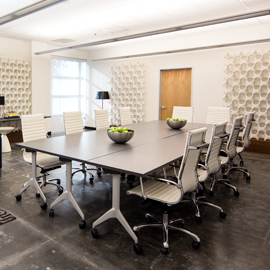 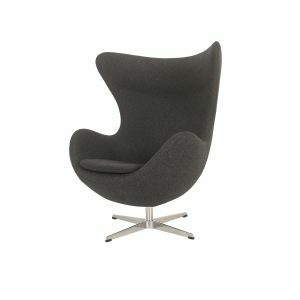 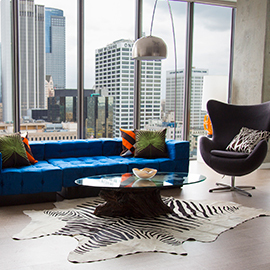 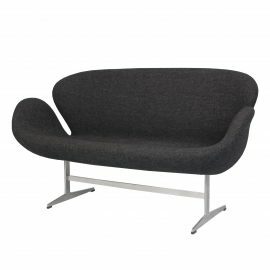 The dark gray wool fabric upholstery is hand-sewn to the Arne Jacobsen Egg Chair (Dark Grey).